I’d like to give you a free copy of an invaluable Urgent Strategy Report. It’s called Fortress Stocks: How to Buy Capital Efficiency at a Discount. This is NOT for everyone. In fact it may not be for you. You are outraged that all the wall street fat cats continue to get bailed out on the tax payer's dime. What gives? And why all the top U.S. companies are companies that don't make anything...but just shuffle paper. For we have insights...we have opinions...and we have answers! 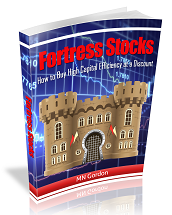 And to get you started on the many profitable insights we have to offer, I'd like to give you a free copy of the Urgent Strategy Report, Fortress Stocks: How to Buy Capital Efficiency at a Discount. Normally, this Urgent Strategy Report sells for $29, but to help you grab a hold of and capitalize on this unique opportunity, it’s yours FREE simply for taking a look at the Economic Prism E-Newsletter. Your subscription won’t cost you a penny. In fact, you don't have to pay a thing. However, I believe you’ll find it to be extraordinarily valuable. Simply input your email address into the subscribe box below for your free Urgent Strategy Report and to start receiving the Economic Prism E-Newsletter! When you subscribe to the Economic Prism E-Newsletter, you’ll receive an email confirmation. You must click on the confirmation link included in the email to confirm your subscription. Following your confirmation, you’ll receive an email that includes the link to access and download your Urgent Strategy Report. You’ll be able to save, print, and refer to it again…and again…and again. You will also begin receiving issues of the Economic Prism E-Newsletter every Friday. If you're thinking, "Hey. Should I trust these folks with my email address?" We use a third party email delivery service provided by AWeber Communications, Inc. You can follow this link to learn more about their Zero Tolerance Anti-Spam Policy. To respect your privacy and ensure that you do want to hear from us, we require subscription "Conformation" via email. Every email that is sent includes an "unsubscribe" link. If you no longer want to receive email from us, simply click on the "unsubscribe" link. And most importantly, we will not sell, rent, or share your email address with anyone. Period! So what are you waiting for — Subscribe to the Economic Prism E-Newsletter Today! P.S. Chances are, if you've read all this way and have not taken action yet.... you're likely to miss out on this opportunity to profit from the economic sweet spot. If so, please drop my office manager an email and tell him to put you on the waiting list for the next urgent opportunity we uncover. P.P.S. The Economic Prism E-Newsletter is published by Direct Expressions LLC. To learn more about the many exciting publications we offer, please visit www.directexpressions.com. Copyright © 2019 Direct Expressions LLC. All Rights Reserved.